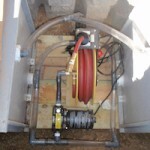 The photo to the left shows a diverter being used to fill a 80 gallon Bar and 40 gallon seat wall via underground 1″ irrigation pipe. 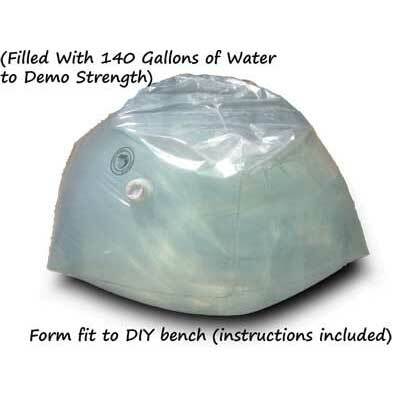 RainBenches are designed to bottom-fill only. Why? Convenience: Fill more than one simultaneously. Why? Smaller tanks = smaller spaces and work as if they were one big tank. Easy. Cleanliness: Bottom-filling constantly cycles new water in whenever it rains. 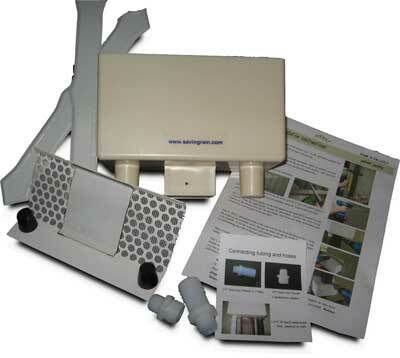 Less stagnant water. Clean. Aesthetics: Freedom of placement. Who wants to sit right at the corner of the house? And who wants to look at barrels or tanks there? Build it in. Beautifully. 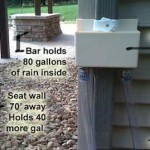 Once assembled, your Rain Bench can connect to both 1″inside diameter tubing and garden hose, and you can direct the overflow from the top fitting into a rain garden or other planted area. 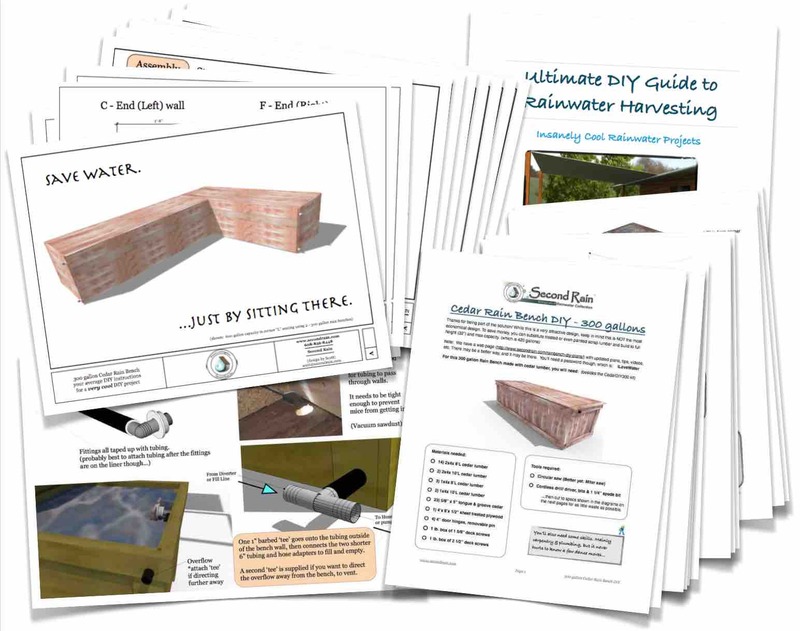 Check out the ‘Advanced‘ Rainwater Harvesting posts for some more ideas, and the ‘how-to‘ for more details.